(Trent Nelson | The Salt Lake Tribune) Utah's Julian Blackmon in Salt Lake City on Monday Nov. 26, 2018. In the hours after Utah bested Oregon on November 10, still maintaining the hope that the fleeting Pac-12 South crown might soon belong to the Utes, one of Utah’s most important players took to Twitter and gave thanks. In giant pinkish letters, Julian Blackmon wrote: “Thank you.” The two words were placed over a photo of himself addressing the media at an earlier time. Surrounding his thanks were various messages he’s seen or received throughout his junior season. None of them were affectionate. They were slights, insults, typical in nature. From being overrated, to looking lost, to not being starter quality, to getting roasted by opposing wide receivers, Blackmon relayed many and could’ve included more. But here’s the thing: Julian Blackmon sees it all, and he doesn’t care one bit. The post itself might seem counterproductive, but it’s therapeutic, in a sense, for the homegrown defensive back from Layton. This is him letting those who berate and demean and critique a young student-athlete know that he’ll have a response, too. 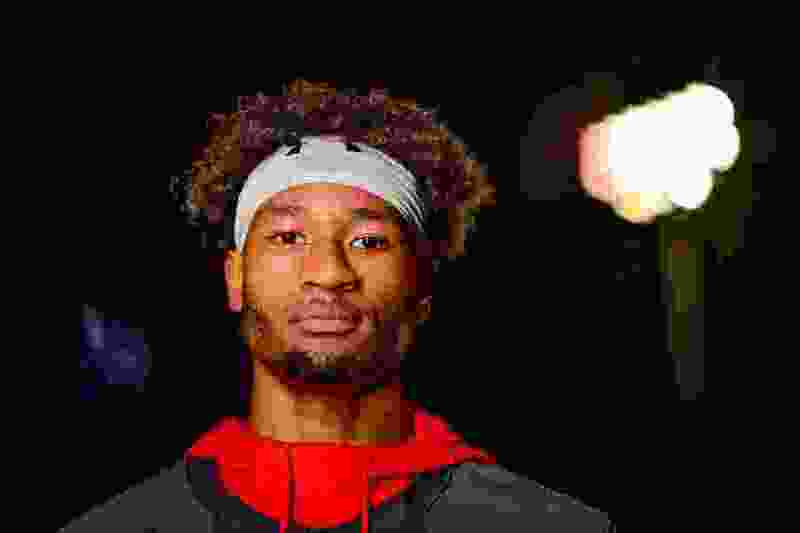 A year ago, Blackmon burst onto the Pac-12 scene as a do-it-all cornerback who earned All-Pac-12 honors in his first year as a starter and even earned the MVP award in Utah’s bowl win last December with two interceptions. Now he’s been dealing with the perception that he is, at times, considered a weak link on a stifling defense. Every football-following lens is foggy, though. He’s not going to say that 2018 has been a stroll in the park. It has been, what Blackmon calls, an up-and-down year for him. This is part of life at this position. As much as you adjust to opponents, they adjust to you maybe more. So as some fans claim that Blackmon has lost a step or needs benching, what’s missed is that so often he’s matched up against one of the premier outside threats in the conference on a weekly basis. After the win over Oregon, Utah coach Kyle Whittingham said Blackmon struggled, but in the coaching staff’s mind, he remains a shutdown corner. Life at DB » Blackmon is eighth on the team in total tackles with 37, has four tackles for loss and is tied for the team-lead in pass breakups with nine. 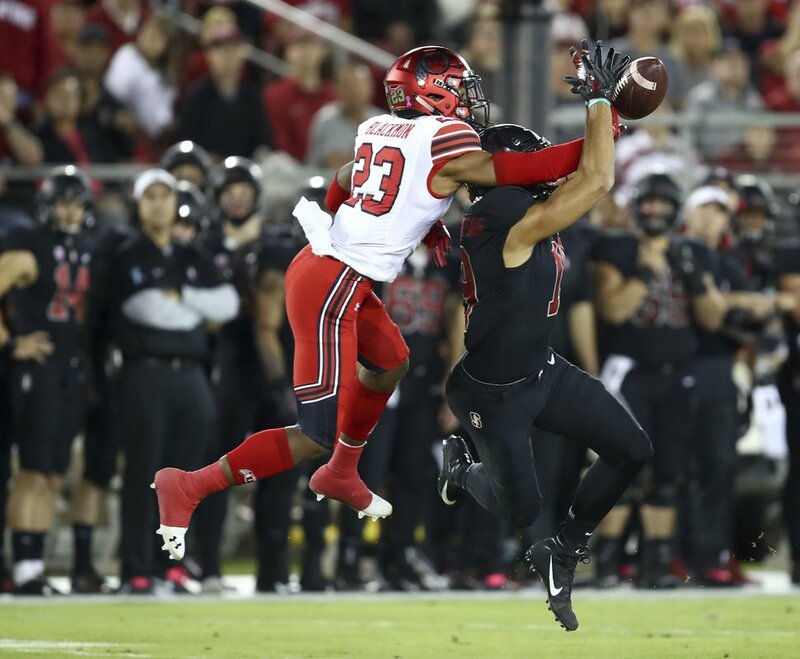 The junior CB was an All-Pac-12 second-team selection in 2017, snagging four interceptions and earning MVP honors in Utah’s bowl win last December over West Virginia. As Blackmon noted, you will get burned. That’s life all the way out there alone, on an island. Utah’s defense prowess is predicated on its corners winning one-on-one matchups as often as possible. Julian’s older brother, Jarriesse, is intent on providing constant context for his younger brother this year. The negativity Julian’s encountered this season, Jarriesse explains, is because the die-hards have seen what No. 23 can do as evidenced during his stellar sophomore season. “They know what he can provide and bring to the table,” Jarriesse says. The expectations are that much higher now because of Julian’s rise from a freshman who was on the redshirt bubble nearly the entire year to showcasing his shutdown ability on the outside. So Jarriesse reminds Julian every day to remember to grease that internal motor of proving himself against the odds, of those early mornings showing up at the gym or the high school field at 6 a.m. when the Division 1 offers weren’t free-flowing. Remember everything that got Julian to this point. “He’s built and was bred for these kinds of things,” Jarriesse Blackmon says. There’s an inherent resolve within Julian Blackmon, one that he relies on when reversing course on a bad outing or giving up a big play in a key moment of a game. He refuses to feel bad for himself, refuses to dive into self-pity, because the only person who can lift himself up, to shake off that previous play or game, is No. 23 himself. He said it wasn’t until recently that he made it known that he was playing with a fractured finger on his right hand that now has a tendency to bust again each week. There was also an ankle injury that slowed his effectiveness, he said. His finger broke in the loss at Washington State in September, when Utah fell to an 0-2 start in conference play and Blackmon and the Utah secondary gave up a late touchdown to the Cougars. It broke again against the other Cougars last weekend, so just like that grey afternoon in Pullman, Wash., Blackmon needed linebacker Cody Barton to reset it on the field. Soon after, with Utah lifeless and trailing 20-0 to its rivals at home, Blackmon stepped in front of a pass, intercepted his cousin, BYU quarterback Zach Wilson, and returned his first pick of the year for a touchdown. His performance landed him a spot on the Pro Football Focus National Defense of the Week for Week 13. Jarriesse, a senior forward at UC Santa Barbara, got back to his hotel room in Boise last Saturday night just in time to turn on the TV and settle in for the second half. The first play he saw in his room was Julian’s pick-6. “I think he needed that for his soul,” Jarriesse said. Julian Blackmon isn’t too hard to find. If you’re either elated or frustrated with his performance, he’ll probably see your comments. After all, in his Twitter bio, it reads, “I’m #23.” You know where to find him.